Economical price, good quality, casual style - the Kreidler Dice 29-series 3.0 combines these features. This makes it the perfect entry-level MTB. 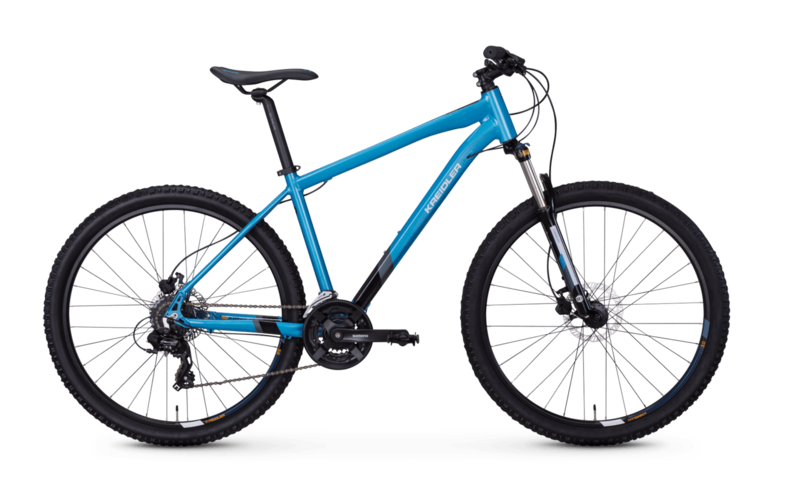 The aluminium frame with suspension fork impresses with a balanced mixture of high stiffness and low weight - sporty handling without a loss of power when pedalling is guaranteed. The Shimano 24-speed cassette also impresses with its precision and dynamics. The hydraulic disc brake from Tektro is completely dedicated to safety: The brake ensures that you always retain control over the mountain bike with its powerful gripping.